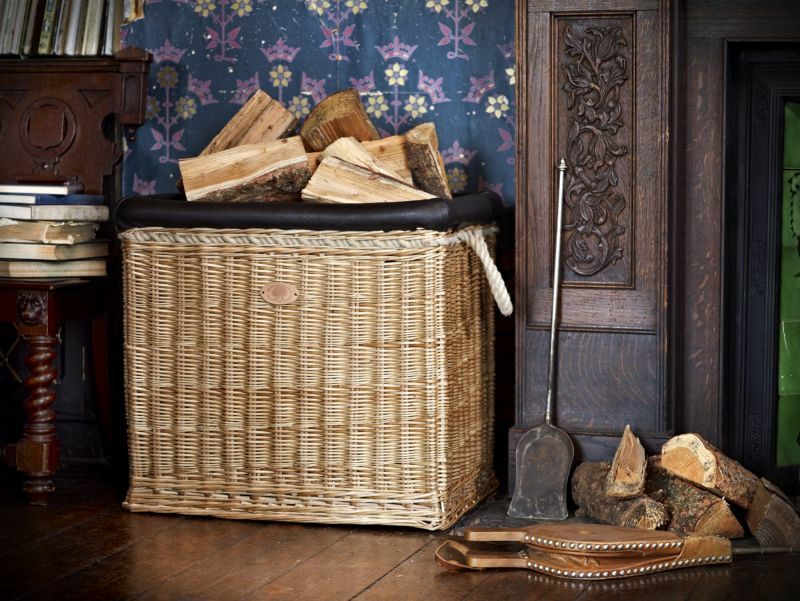 This luxurious Balloon Log Basket has been hand fashioned using the finest weatherbeaten gold willow and made to a standard unsurpassed by anything else. Possessing a lavish, vintage look and feel, the Balloon Log Basket will be the fireside centrepiece of any house or home. 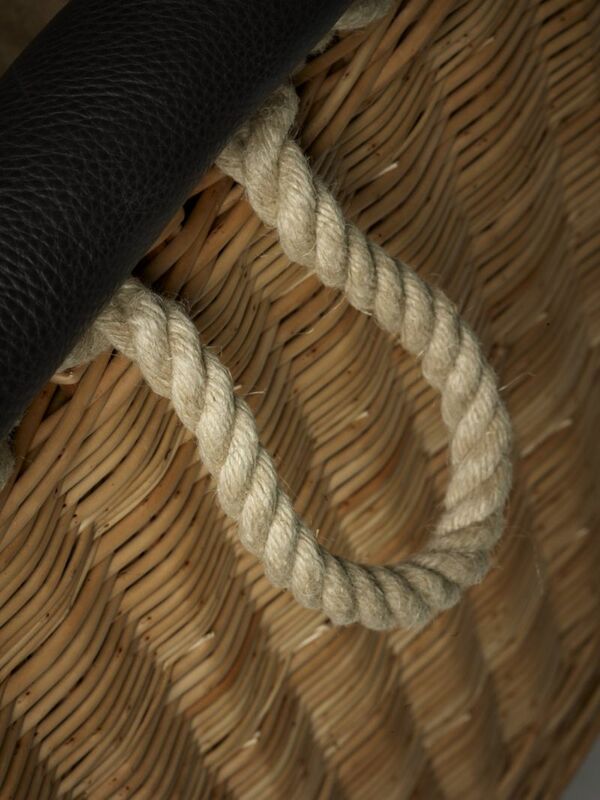 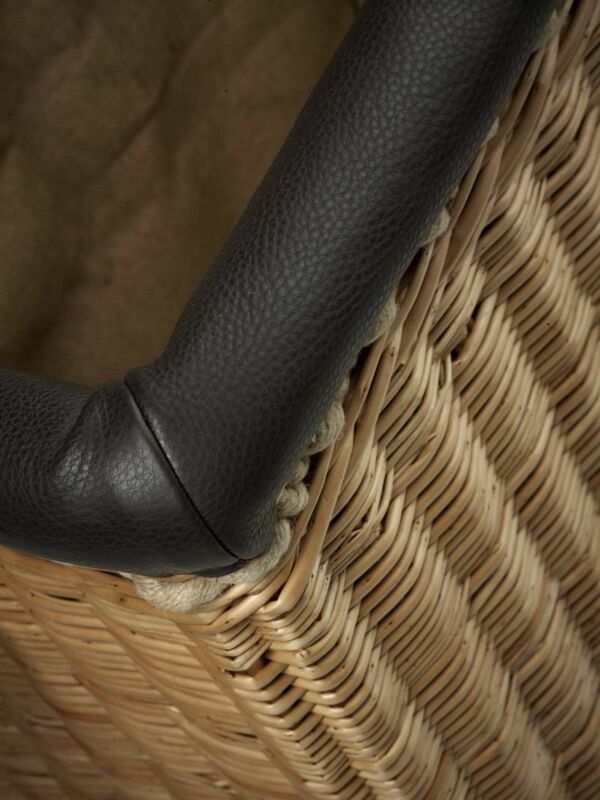 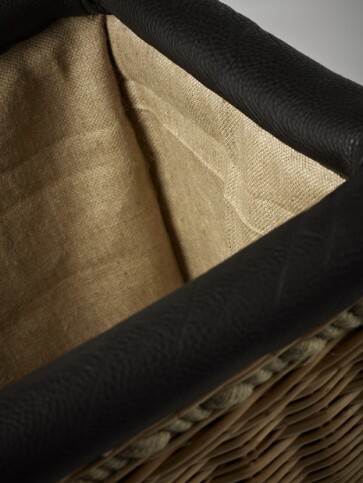 The striking feature of this basket is the dark brown leather trim which has been painstakingly hand stitched around the wicker border of this log carrier. Couple this with the interior hand sewn hessian liner and the sturdy hemp rope handles and you have a log basket that is truly exceptional. 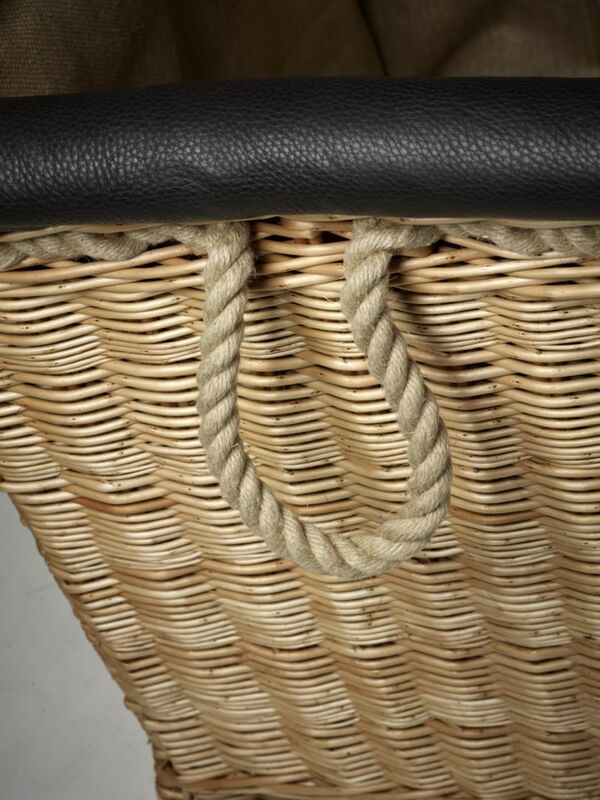 This modern British masterpiece is made by hand in our workshops in Somerset, using locally grown Somerset willow. 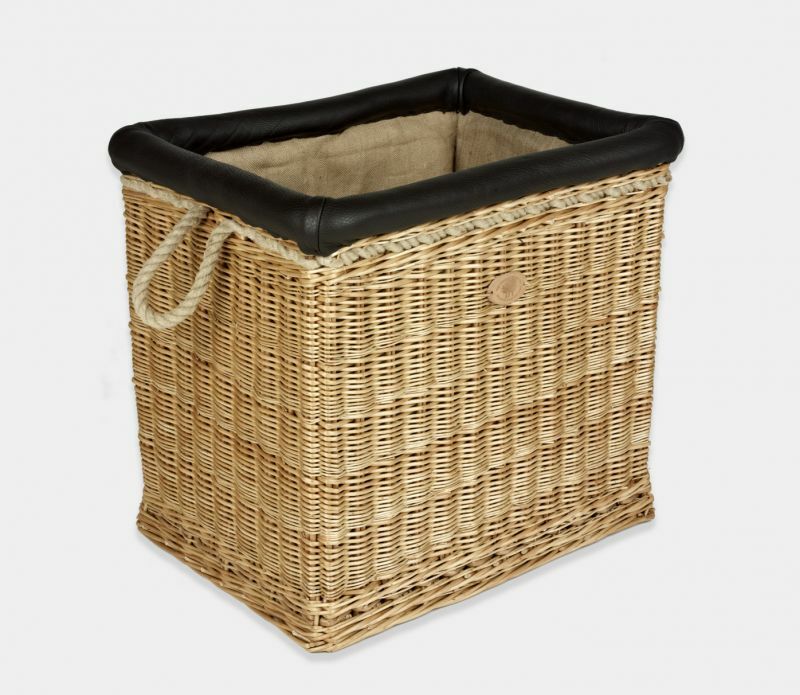 This item will be delivered on our next day courier service at £8.50 Any subsequent added items to your basket will have the shipping costs calculated at the checkout. 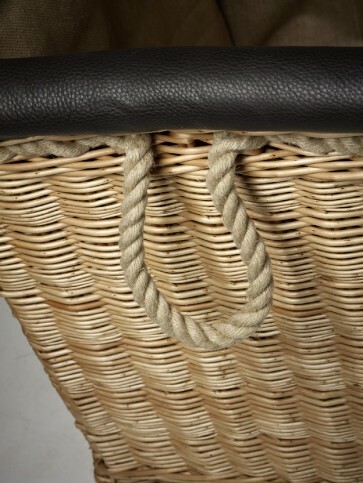 Orders placed before 10:00am will be dispatched for next day delivery. For more information on our delivery please see our delivery page.